Internships have evolved. Instead of just getting the boss coffee, today’s internships should be ideal avenues for developing insight into one’s possible learning and employment pathways. While most students do not have the opportunity for a quality internship until they are in college, Bennett Day Upper School believes that exploring the varying landscapes of the working world should start during the high school years. Of course, not all internships are created equal. Our Upper School students, with guidance from their faculty advisors, will gain quality connections and experiences through their internships. Focus is on the Person, not the Company: While having a recognizable brand on a student’s resume will surely open up opportunities moving forward, the focus should be on who the student is working with and less on where they are working. Building authentic relationships through mentorship is the best way to get the most out of an internship experience. When looking for an internship, we find people who are committed to the intern’s success. In addition to great work experience, the student will learn interpersonal skills and gain insights that will help guide their learning and career path moving forward. These are lifelong relationships that become assets as the student progresses through their career journey. Think of the Internship as an Apprenticeship: Long gone are the days of fetching lunch and doing mundane tasks. 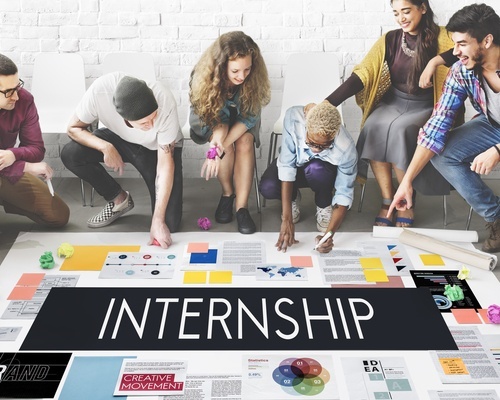 A great internship should provide an opportunity for the student to engage in industry-relevant work. Identifying the progression, mutual goals, and timeline of the internship in advance ensures that the student will be executing meaningful tasks that truly add value. At the end of the program, the intern will have first-hand experience of what it takes to produce, perform, and innovate in that industry. At Bennett Day Upper School, students will produce an impact report laying out their contributions to their internship hosts and the applicable skills they acquired along the way. Know What the Student Wants to Learn: Before committing to an internship, students should have an idea of what they want to walk away with from their experience. Students will work with their advisors to ensure that their internship aligns with their future plans and learning interests. Regardless of whether the student ends up pursuing further opportunities associated with the internship, they should walk away with tangible skills that they can apply in any future setting that they may choose to pursue. Experience-based learning is at the core of Bennett Day Upper School programming. Please visit our internship page to learn more about our approach for providing our Upper School students with real life learning and skill development opportunities.